iDreamz Solutions was incorporated as a Propeitary Establishment in 2012 by employing a group of tech wizards who are having very good experience, skills and business acumen in IT arena with the objective of providing quality service in the field of Information Technology. We recognize that there is a place in the market for a group of experienced professionals who want to produce some great results. It is a software development establishment focused on Web Development,Online and Mobile Applications, We provide turn-key solutions including website creation, ecommerce development, database integration, hosting, and managed services, supporting your organization's total online presence. 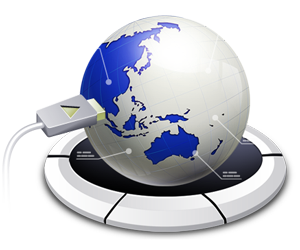 We are professionally managed leading global consulting and IT services company. With the right mix of software products and custom solutions, we offer and deliver innovative IT solutions to both local and global customers for a wide range of business functionalities. We now have enough workforces in .NET, PHP, JSP and JAVA to knock the socks off your competitors. We are totally committed to ensure the highest quality standards and to understand changing customer requirements. You will find uniqueness in all our operations in-depth understanding of technologies, best practices required for building complex enterprise applications, strong subject matter expertise, an excellent track record in ramping up and down quickly, and managing large projects set us apart from our competitors. We believe in ensuring most quality to the entire products and services provided by us. We also believe in continuous quality improvement as the only tool for achieving our vision to be the best among the IT service providers around the globe.